SIMPLY PUT. YES, YOU NEED IT. 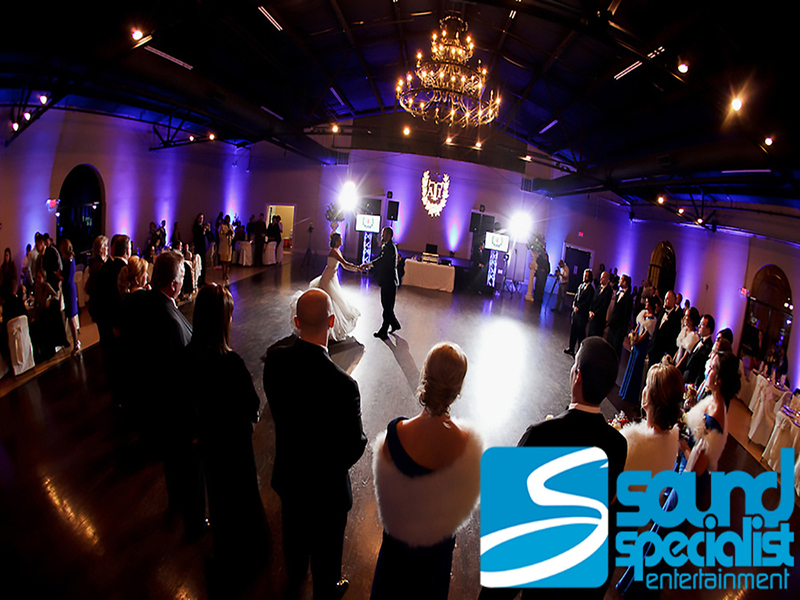 Event Lighting for the Wedding, Corporate & Special Event Market in Louisville Kentucky. Yes. 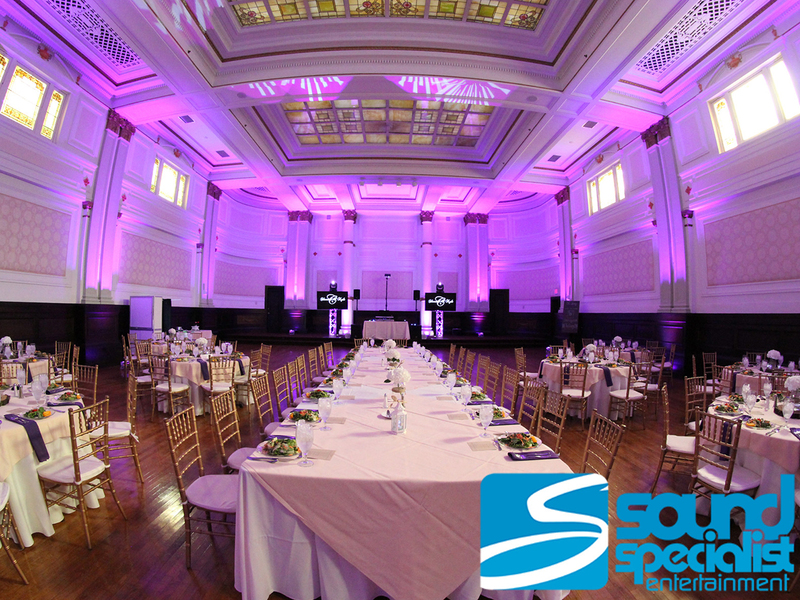 You Do Need Event Lighting. Simply put…Our lighting designs make you look good. 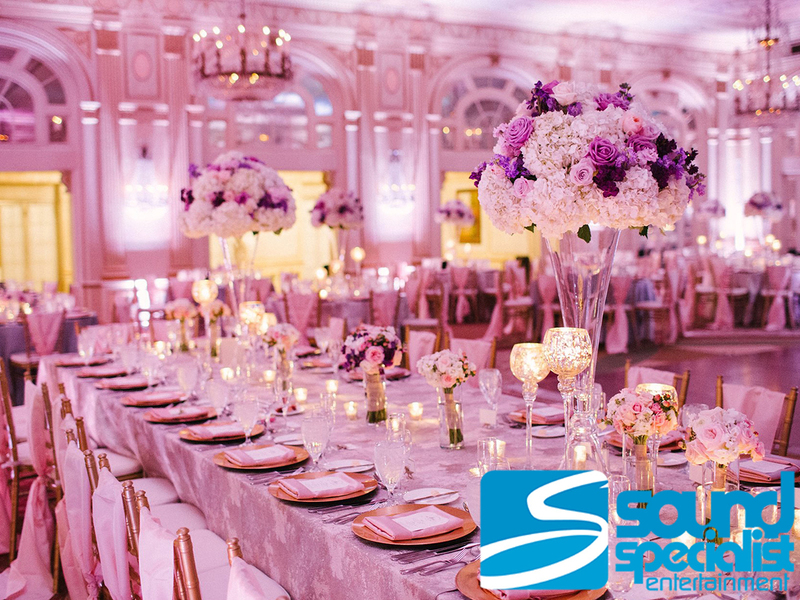 Whether you have a traditional or contemporary vision in mind for your event we will design a look that compliments your décor and wows your guests. 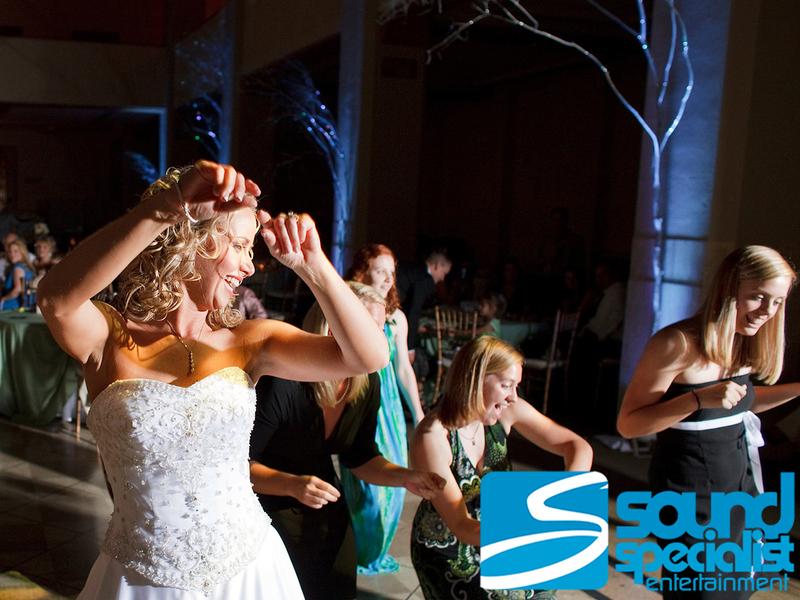 By working closely with you, your wedding planner, florist & venue; our lighting design will be seamlessly integrated. Flowers will become the focal point, the cake will not be in the dark; the room will look as it should…Absolutely, completely gorgeous. Room Décor LED Up Lighting. 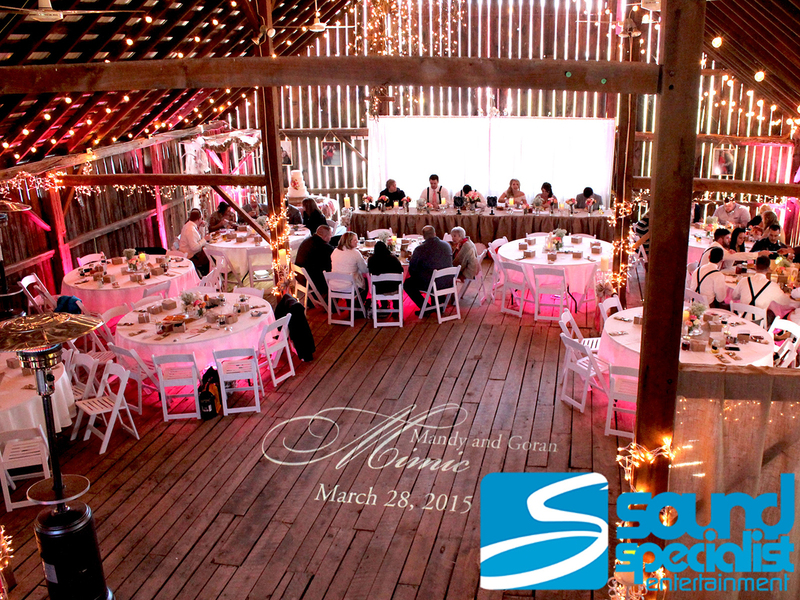 Imagine the walls of your event facility splashed with a subtle accent color of your flowers, or bridesmaid dresses. 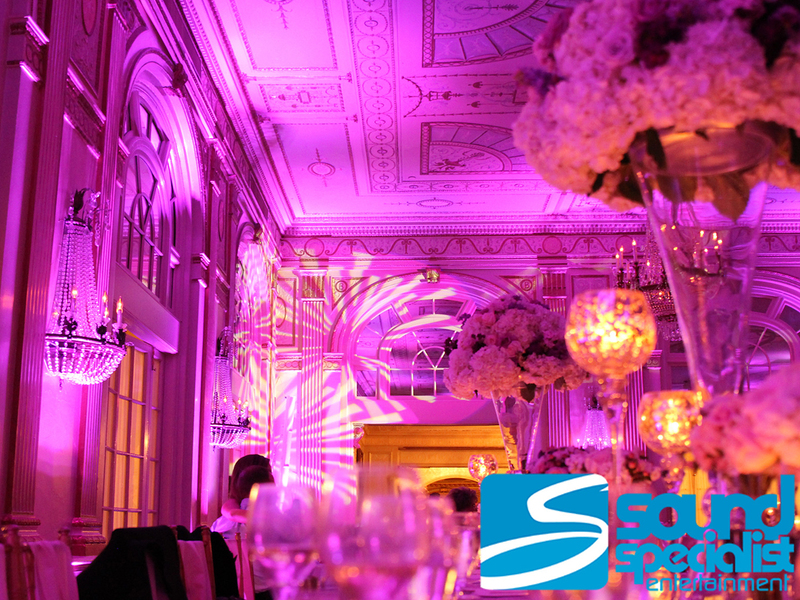 The room décor up lighting can be held constant to a single color or be computer controlled to align with other lighting effects or the events taking place during the event. An example of this would be one color utilized for cocktails/dinner and then another color used for the formal dances and multiple colors for open dancing. 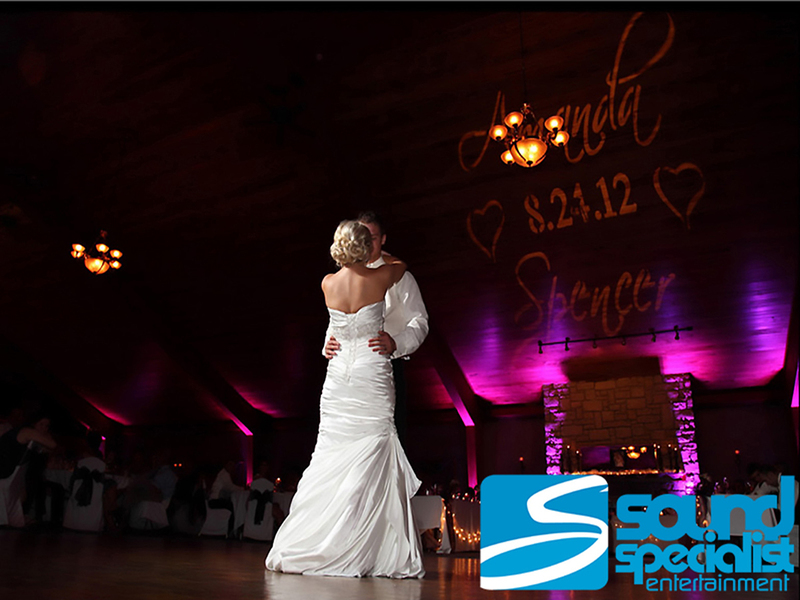 Room Décor Up Lighting packages are custom designed for each celebration based on your event facility specifics. 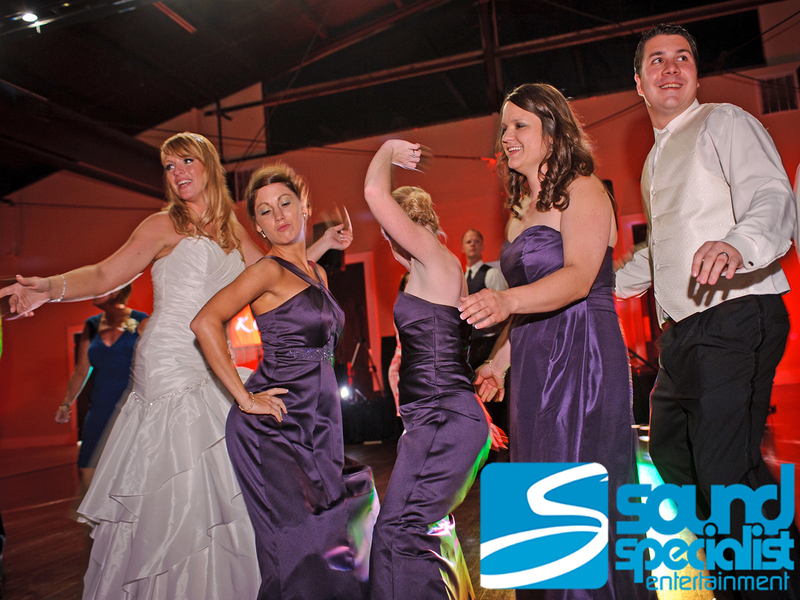 Light patterns projected onto the dance floor so your guests are not dancing in a dark room. 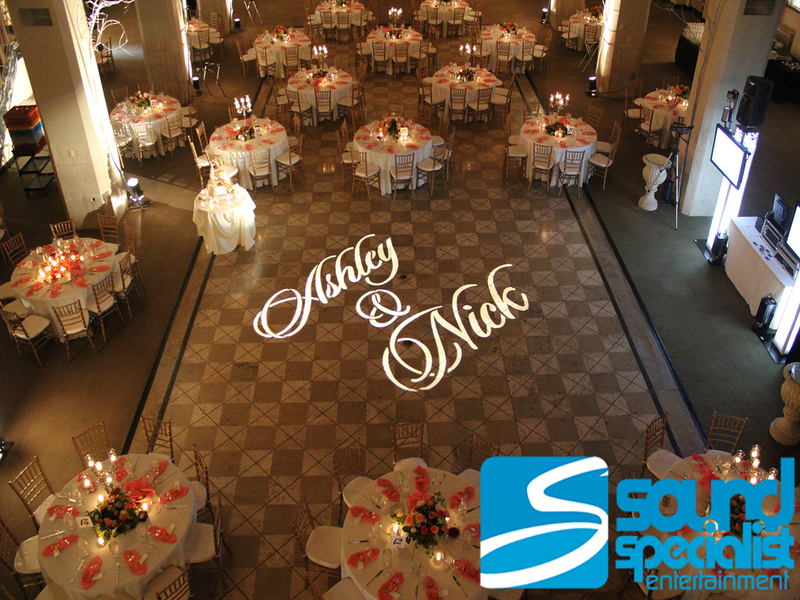 Different patterns can be projected onto the dance floor to create depth and design. 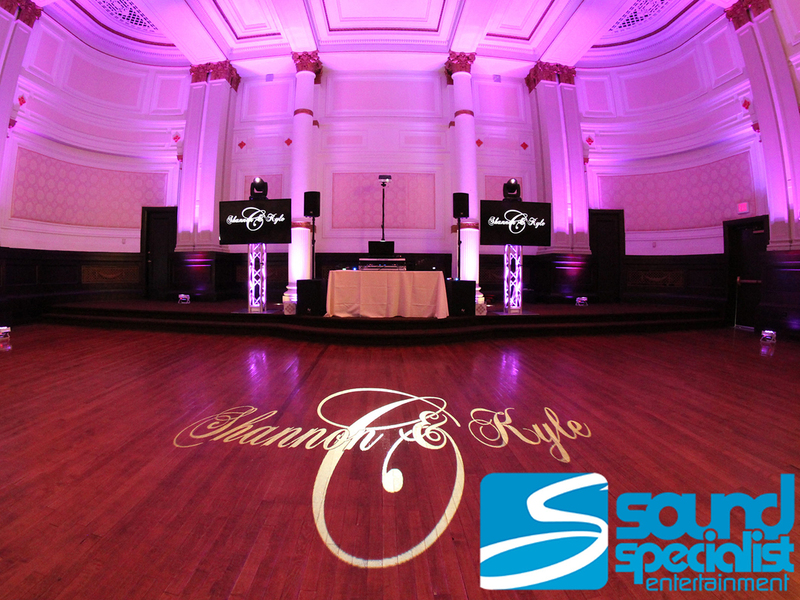 The lighting can be a static image (non-moving) or be programmed to move about the dance floor and room. 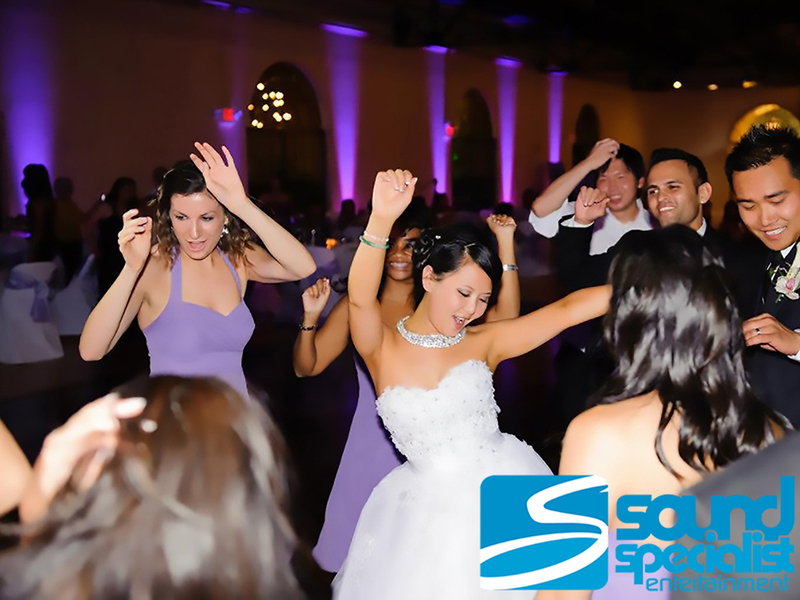 Provides elegant mood lighting effects, romantic spotlights (used during a first dance) and up-tempo effects that perfectly match each style of music being played. Our Italian String Lighting comes in a variety of sizes and is dimmable. 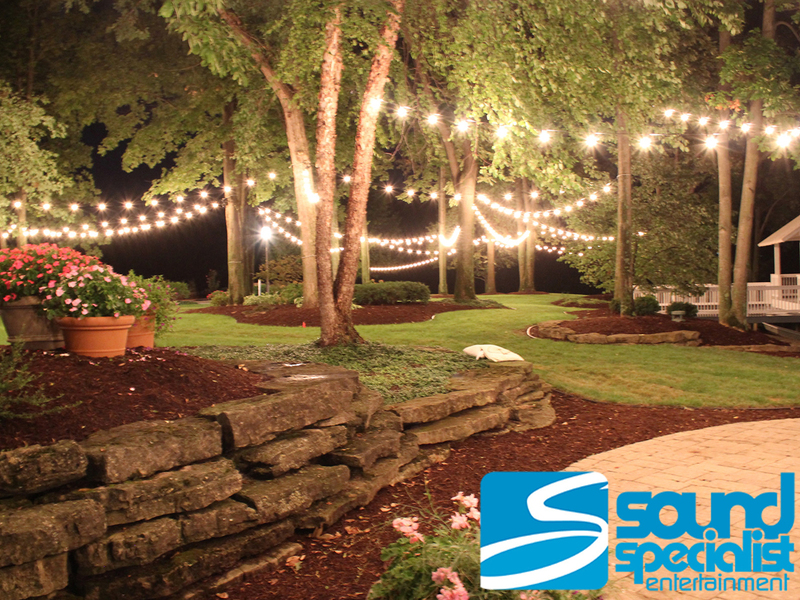 String Lights, also called Market Lights, Cafe Lights, Bistro Lights and Edison Lights are a great choice for both indoor and outdoor events. 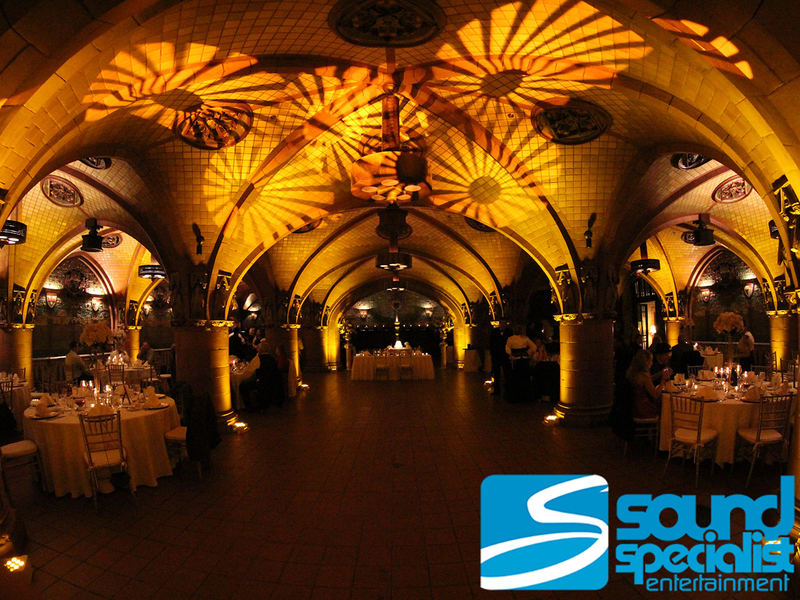 Whether you are having a tented, fully open air or indoors event…this lighting option will create a stunning atmoshphere.